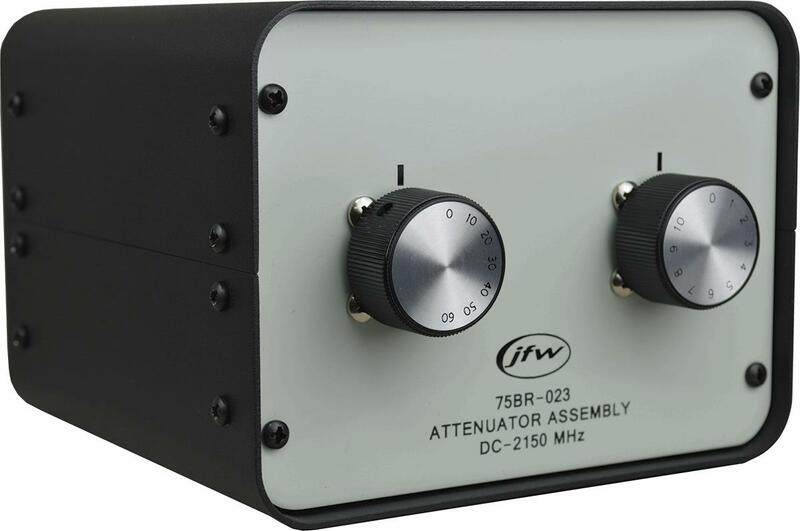 The 75BR-023 from JFW is a benchtop rotary attenuator for applications in the DC to 2150 MHz frequency range. This attenuator is one of the passive 75 Ohms nominal impedance components, and features an attenuation range of 0-70 dB in 1 dB increments, which increases in a counter-clockwise direction. For more specifications on the 75BR-023 programmable attenuator system, download the datasheet and technical drawing.